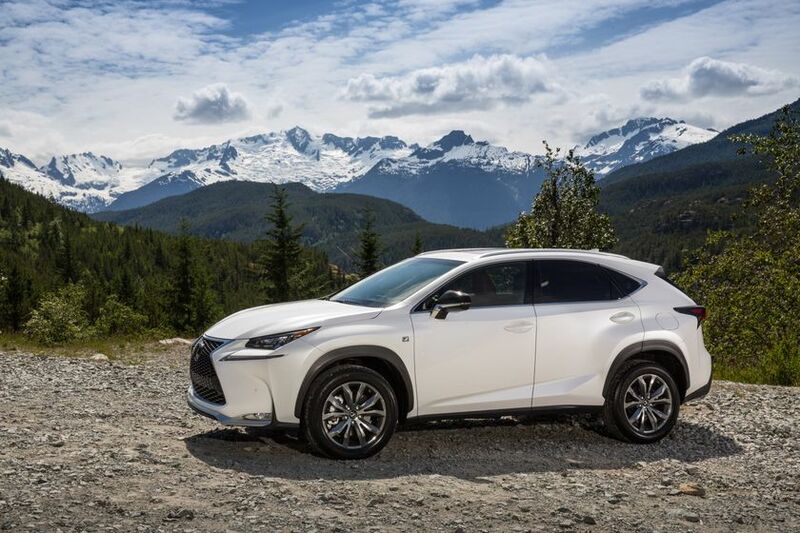 WHISTLER, BC - The 2015 Lexus NX is an all-new model and the first Lexus entry into the fast-growing luxury compact SUV segment, where demand in the global market has grown seven-fold in the past seven years. The NX features sharp, emotional styling, nimble performance and surprising interior space in a compact design to appeal to Canadian luxury drivers with active, urban lifestyles. NX 300h models feature a Lexus Hybrid Drive specifically configured for this model. NX 200t models feature the first use of an all-new, Lexus-developed 2.0-litre gasoline turbo. Lexus NX delivers dynamic handling and a comfortable ride, thanks to several world-first and Lexus-first electronic advancements and chassis design features. The sharply styled NX features the boldest interpretation yet of the signature Lexus spindle grille as the centrepiece of an external design intended to appear as if it was cast from one piece of metal. The NX 300h is the first Lexus to feature a kick-down function for acceleration, and a hybrid battery split into two separate pods for better weight distribution and use of space within the vehicle. Available F SPORT editions feature more aggressive and sportier design with numerous F SPORT-exclusive details. Full colour turbo boost meter in the Multi-Information Display. Available rear power seat – also first in the segment – which folds at the touch of a switch.. The rear seat can be folded with one of three switches: seat side, the driver’s seat or from luggage area. The distance between the front and rear hip points is a class-topping 962mm. The high-roof design provides exceptional head clearance. The luggage area is innovative and practical, with enough space to store golf bags sideways. Thoughtful in-cabin storage includes a 10-litre glove box, and 7.1-litre console box, console mid-tray, utility box, front and rear door pockets, and more. helping the driver to maintain focus on the road while also reading the display in the same field of vision..A Lexus first wireless charger in the centre console box enables charging for Qi supported devices or devices with a Qi supported accessoryA new Remote Touch Interface with touch pad is an integral part of the operation zone in the centre console. It provides on-the-move access to ancillary controls in a way that allows the driver to retain primary concentration on the road.The Lexus NX introduces a number of Lexus-first ideas designed to make ownership even more enjoyable. A 4.2” Thin Film Transistor LCD provides a full-colour Multi-Information Display. Ambient illumination in the MID is linked to the Drive Mode Select switch and changes colour to evoke different images for each mode. The driver-focused cockpit is designed around the Lexus concept of display and operational zones, with tactile switches grouped for sensible, intuitive use. The strong NX platform allowed suspension engineers to devise more responsive and supple ways to enhance performance and ride. Innovative technology pioneered by IS is used for the NX to strengthen the panel joints. The NX introduced Lexus’ latest production technology, body adhesive to bond the panel by surface, laser screw welding to shorten the pitch from previous spot welding, high rigidity bonding to front wind shield and additional spot welding to roof and B-pillar. NX achieves high body rigidity by enhancing the jointing which is fundamental to optimal driving performance. NX suspension is controlled by micro parts and offers both sporty and stable drive and comfort drive for daily use. MacPherson strut front suspension with high rigidity upper supports and low-friction strut bearings. The suspension hardware includes barrel-shaped coil springs, large diameter high-rigidity wheel bearings and high damping bushings for the strut and number two lower arm mounting, all contained by a high rigidity stabilizer bar. At the rear a newly devised trailing arm double wishbone rear suspension separates the coil springs and damper units while also providing an unusually low floor line for an SUV that optimises agility, stability and ride comfort. Lexus Drive Mode Select provides integrated control of multiple systems to enhance driving pleasure and performance. Drive modes include Normal, ECO for more efficient driving, and Sport (plus, on certain models, Sport+) for more spirited driving. The NX 300h also has an EV mode. An extensive and innovative aerodynamic package has given the Lexus NX an impressive drag co-efficient (Cd) of 0.33. The NX 200t features a Lexus-first 2.0-litre turbo gasoline engine, matched to a newly developed six-speed automatic transmission. The NX 300h features a Lexus Hybrid Drive built around a 2.5-litre Atkinson cycle gasoline engine, mated to a new continuously variable transmission with a unique kick-down feature for greater acceleration. The NX 300h features the efficient Lexus E-Four system which uses an electric motor to drive the rear axle when required. Optimum grip, control and agility results from innovations including a pre-loaded front differential and yaw rate feedback control. The NX 200t features Dynamic Torque Control AWD, which instantly varies front and rear torque split between 50:50 and 100:0 for optimum traction and fuel efficiency. The NX 300h employs an electronically controlled braking system to provide cooperative control of stopping power and regenerative braking while saving on vehicle weight. The NX 200t has a new vacuum-operated booster to optimize brake feel and control as well as a vacuum sensor on the booster for efficient driving. The new NX is fully equipped with a comprehensive package of active and passive safety technologies and systems to help drivers avoid accidents, and to minimize the effect should an accident occur. Safety features include Dynamic Radar Cruise Control, Lane Departure Alert, Blind Spot Monitor, Rear Cross Traffic Alert, newly adopted cornering lamps and Head-up Display. 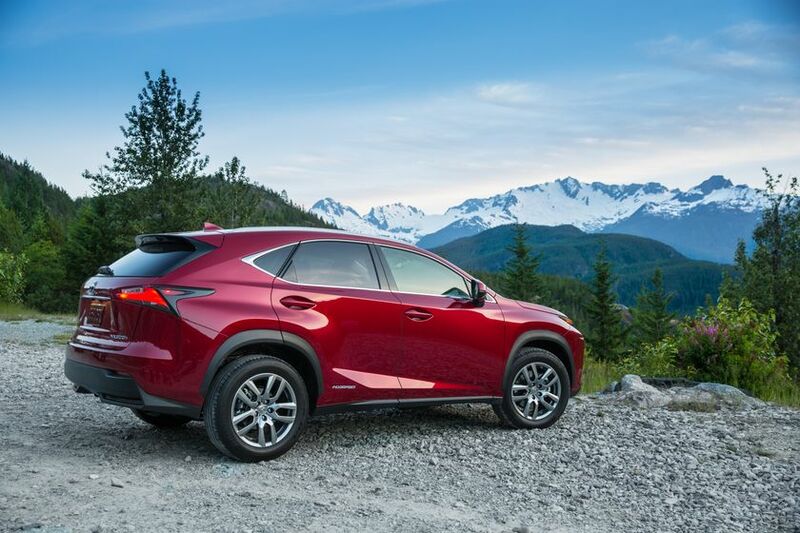 The NX has a standard backup camera, front and rear fog lamps, and all the standard Lexus active safety systems: Vehicle Stability Control, Traction Control, Antilock Braking System with Electronic Brake Force Distribution and Brake Assist, and Smart Stop Technology. The new generation optional Adaptive Variable Suspension networks with other systems to increase braking and steering control in emergencies. Dynamic Torque Control on the NX 200t and Lexus E-Four on the NX 300h help maximize traction and cornering stability. The NX has eight airbags (including a dual stage driver’s airbag and knee airbag, dual-stage and dual-chamber front passenger airbag, front-seat side airbags and full length side curtain-shield airbags) plus the Lexus Pre-Collision Safety System. Front and side collision protection measures include the use of high tensile-strength steel sheet in key areas including the centre-pillar hinge reinforcement, outer rockers and roof cross members. Lexus NX has a comprehensive roof impact resistance structure, which disperses load when the roof is crushed, minimizing cabin distortion. Inside, NX has energy-absorbing structures in the pillars and roof head lining. There are impact-absorbing pads in the front and rear door trim adjacent to the occupant’s lumbar region. Lexus active front seats with whiplash protection are fitted to all models. Major dynamic performance enhancements and unique styling cues distinguish the Lexus NX F SPORT editions. These include an even bolder new grille adding to the already aggressive face of the NX. NX F SPORT has its own high performance sports wheels, a clearly differentiated cabin, special sport seats designed to hug the occupants during high-performance driving, and an adaptive variable suspension system which allows it to perform even better. An L-mesh grille on Lexus performance models integrates with a metallic coated lower bumper moulding to set the NX F SPORT apart. The large spindle aperture is graded from bottom to top to express the outline of the distinctive F SPORT motif. A Lexus-first sports wheel offers a 225/60/18 10-spoke alloy that combines black paint on the lateral edges with a luminous machine-brushed finish. Inside, the NX F SPORT features unique instrumentation, an F SPORT steering wheel, special seats, pedals, gear shift and an F SPORT-exclusive interior colour of Dark Rose. Injection-moulded quilted seats hug the occupants and are finished in exclusive F SPORT colours. Instruments are specially designed to enable sports drivers to better pick their shift points, drawing on designed developed for the LFA supercar and IS F SPORT vehicles. Perforated non-slip aluminium pedals and driver’s foot brace provide practical assistance to sports driving. The steering wheel leather is perforated to provide even greater feel during performance driving, while the brushed metallic gear shift lever and the scuff plate ornamentation beneath the door are exclusive to F SPORT. Adaptive Variable Suspension is available exclusively on NX F SPORT models. AVS results in more precise steering feel and response, increasing the communication with the driver and providing improved steering feedback. The switchable damping system is improved upon previous generations. In NX F SPORT, the damping force has been increased from its previous 9 stages to 30 stages. Suspension response time has increased by a factor of four – from 80 milliseconds to 20 milliseconds. AVS can be switched between Normal and Sports S+ mode to provide choice between optimum ride comfort and prioritizing handling stability. NX F SPORT introduces a Lexus-first “G-Monitor” in its full-colour Multi-Information Display. In the NX F SPORT, the G-ball moves in accordance with the vehicle’s lateral and longitudinal forces. The MID displays the peak force in each direction. Display bars indicate the steering angle, throttle opening angle, and hydraulic brake pressure. In the turbocharged NX 200t F SPORT, the MID provides a Lexus-first turbo-boost meter with the colour band changing in the high boost pressure range. There are also analogue displays for oil temperature and oil pressure.